Friends are family we choose ourselves. Though its true, friends are God's gift. Not everyone can have good friends, and even if they have, not everyone can have best friends. 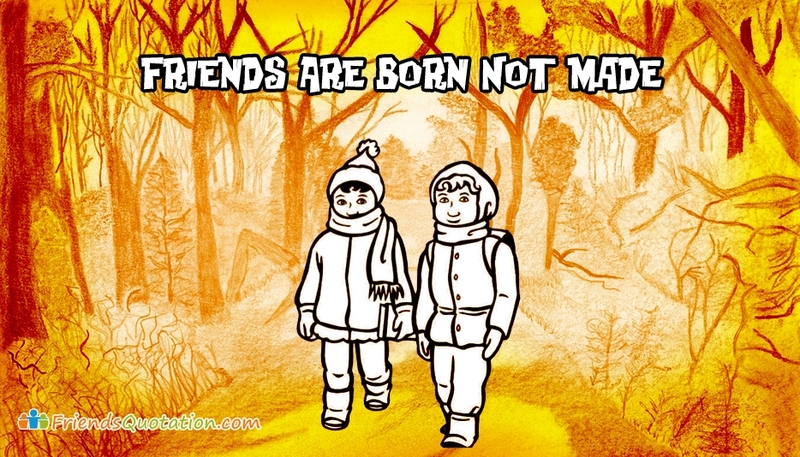 Here is a friendship e-card portraying this message with the words "Friends are born not made". You cannot inculcate friendship in a person. Frienship should be in his or her blood. Share this friendship picture with your dear friend and express that you are friends made for each other.